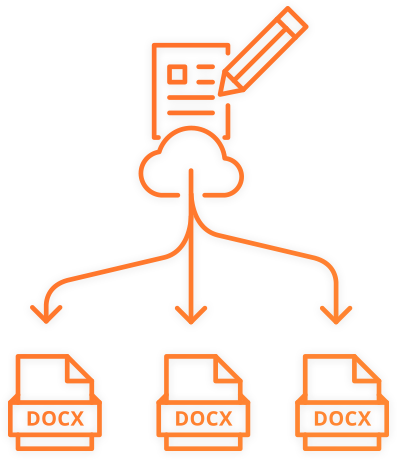 Our document creation services (api) allow you to create documents automatically. We support different api standards. The same documents that are available in Microsoft Word can also be used for automated document creation. This makes a separate implementation unnecessary. In addition, text blocks are easily managed by Word users. To support document creation several api services are available. This facilitates easy integration in the existing infrastructure. Both correctly generated and faulty documents are registered. This makes it easy to determine who created which document and whether they succeeded. 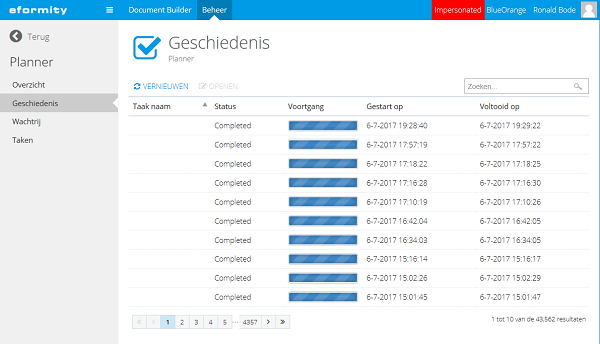 Besides creating documents it is also possible to connect a process flow. 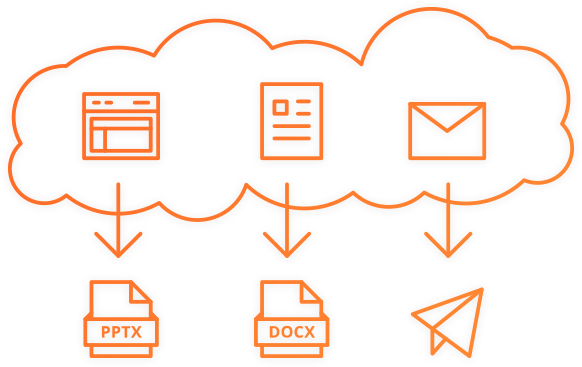 This allows, for example, for documents to be e-mailed, saved to disk or stored in a DMS.